As much as we prize creativity in cities today, the cultural centers that we've built to celebrate it rarely hit the mark. Culture is born out of human interaction; it therefore cannot exist without people around to enjoy, evaluate, remix, and participate in it. So why do our cultural centers so often turn inward, away from the street, onto an internal space that is only nominally for gathering, and is mainly used for passing through? Why do these cultural centers physically remove culture from the public realm and plop it on a curated, often "visionary" pedestal instead of providing a venue for promoting more interaction among the people who create it? "Big Cultural Centers--think of Lincoln Center in Manhattan--they need to turn themselves inside-out and become about culture for all instead of culture for a few," says PPS President Fred Kent. "Elitism is a big part of what's going on in some of these places. They exude a subtle sense of who 'should' and 'should not' be there.'" Perth's Metropolitan Redevelopment Authority had a different vision. Their vision was to connect the 23 institutions within the Perth Cultural Centre (PCC) to each other by improving the public spaces that surrounded and connected them, and to extend the precinct past its formal edges, with cultural activity reaching out into the surrounding area like an octopus. The PCC is a cluster of institutions located at the hinge point between the city's central business district and one of its burgeoning nightlife districts, Northbridge. The centre features a mix of historic buildings from the 1800s and Brutalist structures built in the 1960s and 70s, and includes art museums, theaters, a history museum, a major library, and a compact college campus. The MRA got involved in 2008 by buying and renovating a number of storefronts along William Street, a major shopping corridor on the edge of the PCC precinct, and then carefully managing the selection of tenants. When PPS's Kathy Madden, Alessandra Galletti, and Josh Kent were brought in back in 2009, the MRA's understanding of the importance of careful management and cohesive vision proved to be key to developing a Lighter, Quicker, Cheaper (LQC) plan that's completely changed the public's perception of the space in a very short period of time. "Compare something like Lincoln Center with the center of culture and diversity they have created in Perth," says Fred, and you'll find that the latter is "all about engagement, people, social interaction, a hundred different things to do--maybe nobody wins a design award for it, but that diversification of uses is a really big deal for the people who use that Place, and for their local culture." "One of the big things for us was to take the focus off the buildings and put it on the things that happen in the spaces between them," MRA Executive Director of Place Management Veronica Jeffery explains. "That's why what we call the 'quick wins' strategy was so important: it basically went from planning straight to implementation, and was really powerful. It didn't leave time for contemplation, which meant that people could see their ideas transform into action." The LQC plan included a working orchard on top of a parking deck, a wetland and play space focused on nature-based discovery, a large screen for projecting movies and digital art, seating, food vendors, etc. 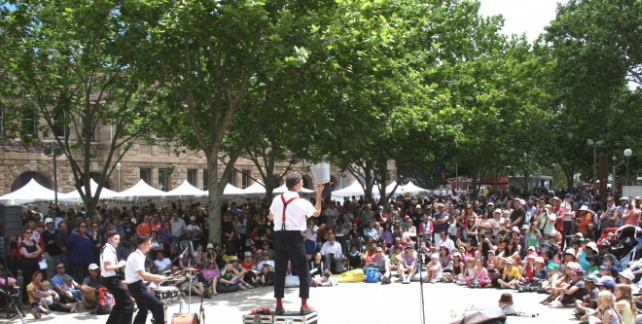 Major events like the Perth International Arts Festival and Fringe World Festival relocated to the center’s grounds, which also had the honor of hosting CHOGM 2011. The good news, today, is that shifting attitudes are chipping away at the austere walls of yesterday's "culture ghettos," with people demanding more inspiring, interactive gathering places. Creativity is becoming one of the most coveted social assets for post-industrial cities with increasingly knowledge-based economies--and this is good news for culture vultures and average Joes, alike. "This idea of the 'Creative Class,'" says PPS’s Cynthia Nikitin, an expert on cultural centers, "is about culturally-based industries, and creatively-engaged people. They could be making clothing, they could be in web or media design. The public’s definition of creativity is really changing to be about celebrating the creativity in all of us, and creating a public environment that supports and encourages that." According to Richard Florida, author of Rise of the Creative Class, pressure is mounting on traditional Cultural Centers--what he calls SOBs for 'symphony, opera and ballet'--forcing more and more of them to adapt to meet the needs of an ever-broadening audience that is looking for ways to engage creatively with each other, and actually participate in culture instead of merely consuming it. "The real challenge for the 'Big C' centers," he explains, "is how to reposition for this shift...these institutions are in trouble. Many teeter on the verge of bankruptcy. They have to get with it, like universities and all the old school organizations. They have to become more fluid, more open, more accepting. Less imposing. Think of it sort of like the difference between haute cuisine and great food trucks." Put another way, great, engaging centers of culture are the product of great Placemaking. 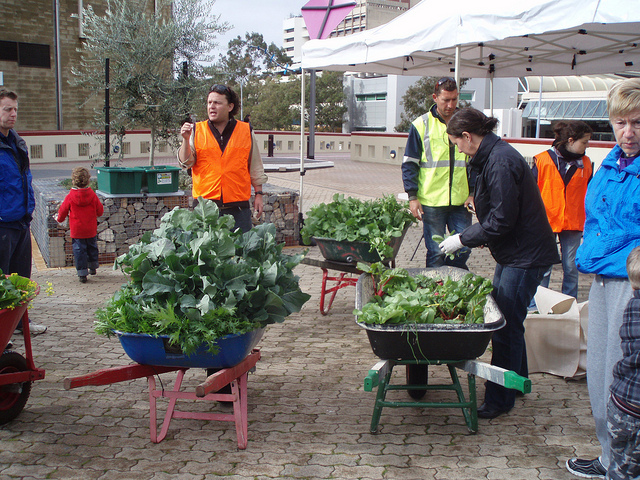 In Perth, various activities and institutions had co-located, but they hadn’t come out of their respective buildings to interact and make use of their shared space. The Placemaking process allowed the various stakeholders to come together and develop a collaborative vision for their shared site. "We think it’s important to debunk the myth around Culture with a Capital C and make the place inclusive and welcoming to different kinds of people," Jeffery explains. That inclusiveness--of organizations, of individuals, of businesses--is the lynchpin in the process of creating great places. Florida notes that Gallup & Knight's Soul of the Community survey found that the quality of a place's social offerings was the #1 factor that people said creates emotional attachment to their community. Openness to all sorts of people was #2. "I say the two go together," he argues. "Our public spaces are perhaps the last vestige of democratic space in our cities." Today, we need those kinds of comfortable social environments more than ever. 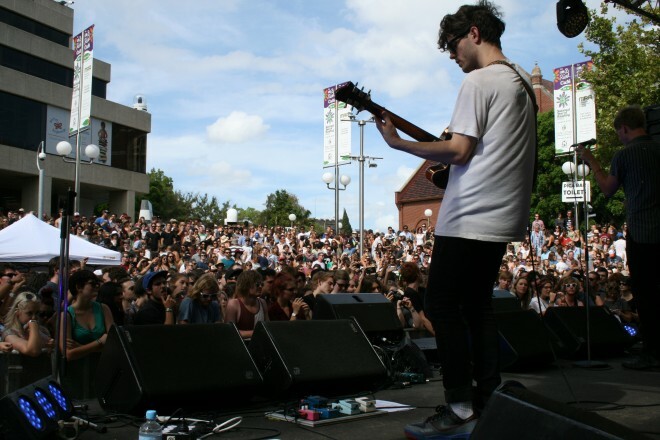 Encouraging creative exploration and experimentation is a great way to develop local talent. As studies (popularized by the writing of Ken Robinson) have shown, while the vast majority of children will answer enthusiastically in the affirmative when asked if they are creative, by the time most people reach high school just as great a majority will say that they are not. For our cities to thrive, we must develop participatory public spaces to re-spark latent creative spirits. "When a cultural institution does programming out in public space," says Nina Simon, an expert who consulted at museums around the world before taking the helm of the Museum of Art and History in Santa Cruz last year, "there's a really powerful shift in the context." Still, she cautions, it's important that institutions remember that the shift is as important for them as it is for neighbors who attend an event or activity. "If you're going to be out in public space, you have to have the attitude that this is about connecting to the community that you're in, rather than just trying to figure out how to plug what you do inside the museum in somewhere else. When TV was invented, people didn't just say 'let's put radio on the television.' They had to re-think the way programming that was made in order to be successful." Over the years, PPS has seen how pulling cultural programming out into streets and squares has transformed not just those public spaces, but the cultural institutions that participated in their renewal as well: from Wade Oval in Cleveland, to Tucson's Congress Street, to the Bronx River Arts Center in New York. And, of course, there's the Perth Cultural Centre, where the MRA's pioneering approach to transforming its precinct lights a new way forward for the formal, inward-focused capital-C Cultural Centers of yore. "It's been a challenging process, but the results have exceeded all of our expectations," Jeffery says. 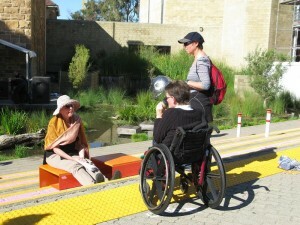 "Ultimately, the centre is a public space, and we want everybody to feel comfortable here. They should be able to come in and feel like it's theirs. If they happen to have a cultural experience in the process, that's even better!"